"This wide-ranging, insightful and richly-illustrated volume provides a wealth of practical case studies elucidating the potential of GIS to enrich our understanding of the past, as well as incisive critical examination of its implications for and impact on historical scholarship. It will be invaluable for everyone interested in the use of new digital technologies and methods in historical research." 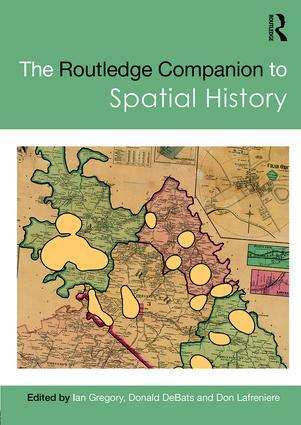 "From the leading scholars in the use of historical GIS methods, these valuable essays give us a clear sense of the possibilities and challenges of spatial history. This is a groundbreaking edited volume that will inspire, guide, and teach anyone considering spatial history approaches in their own work." Ian Gregory is Professor of Digital Humanities at Lancaster University, UK. He has worked extensively on using GIS in the Humanities on topics ranging from nineteenth-century infant mortality to Lake District literature. He has published four books and numerous journal articles on the subject. He co-directs Lancaster’s Digital Humanities Hub (http://wp.lancs.ac.uk/dighum). Don Lafreniere is Assistant Professor of Geography and GIS and Director of the Geospatial Research Facility at Michigan Technological University, USA. His research interests centre on creating GIS methodologies for recreating historical environments and spatializing populations. His recent work includes creating historical spatial data infrastructures for heritage preservation and education and using historical geospatial methods for uncovering the relationships between the built environment and life course health and wellbeing.